Below is a chart created by a Hollywood Prayer Network volunteer. 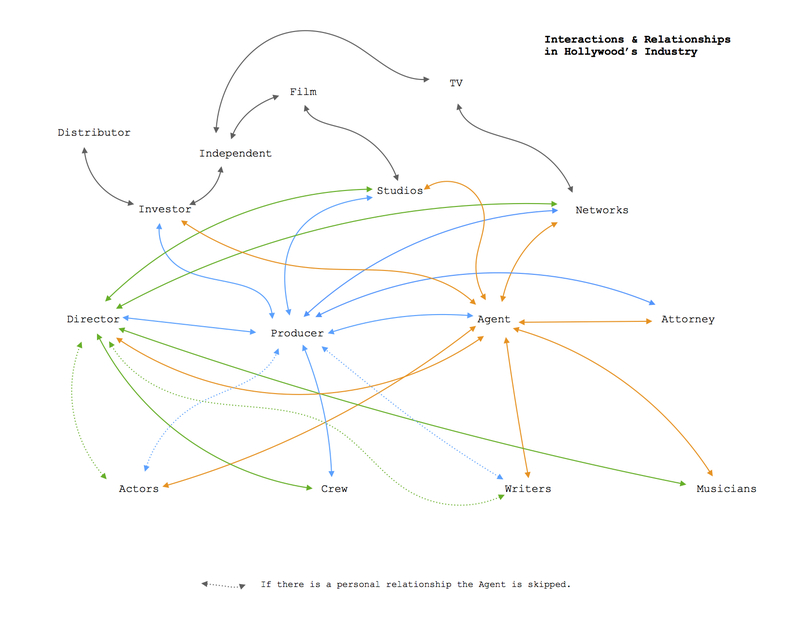 It shows the relationships and professional connections that generally guide how the structure of the entertainment industry works. Understanding the structure of the industry can be difficult, so we hope this helps!